Teaching very young children about fire safety can help keep them safe for the rest of their lives. Our early years support complements many of the Early Years Foundation Stage early learning goals; introducing fire safety awareness and basic understanding of what to if there is a fire in a way that doesn’t make young children feel scared or vulnerable. 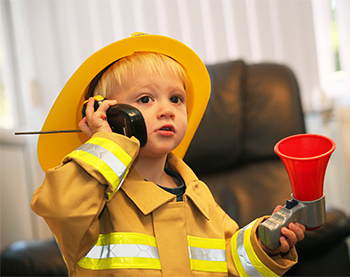 Nurseries and pre-school groups can contact us to help raise awareness among the youngsters in their care of the risks and dangers of fire and how they can stay as safe as possible. If we can’t visit the group, we can loan out a special resource box that can be used by EYFS/nursery staff to deliver a teaching session. The box includes dressing-up kit and role play equipment; stories, poems and pictures; jigsaws and games; and suggested activities. It also includes suggestions on how to use the contents. We recognise that children and young people with special educational needs could be more vulnerable to the dangers of fire but recognise that teaching for special educational needs requires more than a single lesson plan. We appreciate that that teachers know their class or pupil best; what their abilities are, how much they can take-in and what activities are suitable. 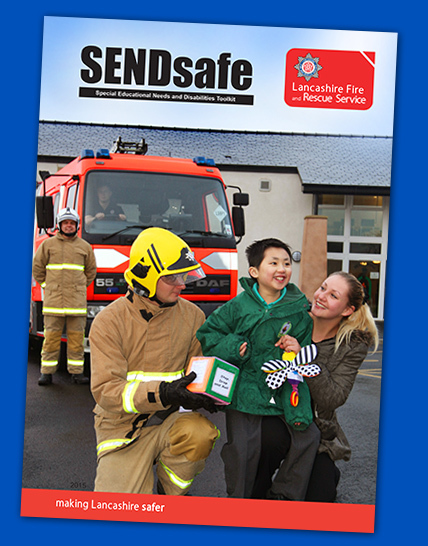 We have created SENDsafe – a toolkit of 27 activities, each lasting around 15 minutes, that use the whole range of senses which can be mixed and matched to suit an individual group’s needs.